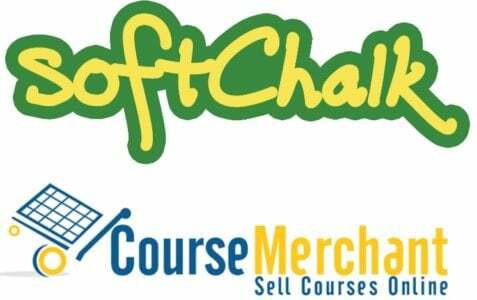 Course Merchant has announced that it is now an authorised reseller of award-winning Softchalk Cloud eLearning authoring software. This is an interesting collaboration between two leading eLearning companies who operate at different ends of the eLearning production path. Course Merchant specialises in building eCommerce stores for its customers to sell their courses on the web, and Softchalk specialises in the creation and maintenance of the course materials. With this move Course Merchant aims to provide a complete suite of eLearning professional services to learning providers, from rapid and accessible content creation tools through eCommerce implementation and hosting to course and learner management and communications, marketing and website development, and Pay-Per-Click and other marketing services. Softchalk is a cloud-based authoring suite that emphasises ease and flexibility of eLearning content development. It is ideal for rapid authoring by automated conversion of legacy learning content such as Microsoft Office files, and features a wide range of quiz types and test formats. It offers instant deployment to the web via Save to Cloud. Softchalk works with any LMS. It can export learning content as SCORM, LTI, HTML or straightforward hyperlinks to cloud content. Softchalk has a number of dedicated LMS integrations which cover the most popular LMS used in K12, Further Education, Higher Education, Community Colleges, Universities and Corporate Training environments. These include Brightspace, Moodle, Canvas, Blackboard, Sakai, Schoology, Jenzabar, and Agilix Buzz. It will also work with no LMS via its free online repository and Cloud Score Center, allowing users to run a virtual classroom without the need for an LMS. As well as supplying Softchalk, Course Merchant offers bespoke learning content creation for those wishing to go the design route. Resources include instructional designers, content developers, authoring specialists, video production and post production experts. Softchalk is one of the tools used by these staff, alongside others like Articulate Storyline, iSpring, Adobe Captivate, Camtasia Studio and Lectora. “By pairing SoftChalk ‘s authoring features with CourseMerchant’s eCommerce and Marketing platform, learning professionals will have everything they need to create and manage high quality online learning programs that they can easily brand, market and sell. We’re excited to be working with CourseMerchant to offer this unique suite of products and services,” said Sue Evans, CEO of SoftChalk LLC. This is an interesting collaboration between two leading eLearning companies who operate at different ends of the eLearning production path.